What a glamorous night at the AWA Conscious Couture Fashion Show at the American Club! It was a little surreal to see our clutches on the runway and so well received by everyone in the audience. 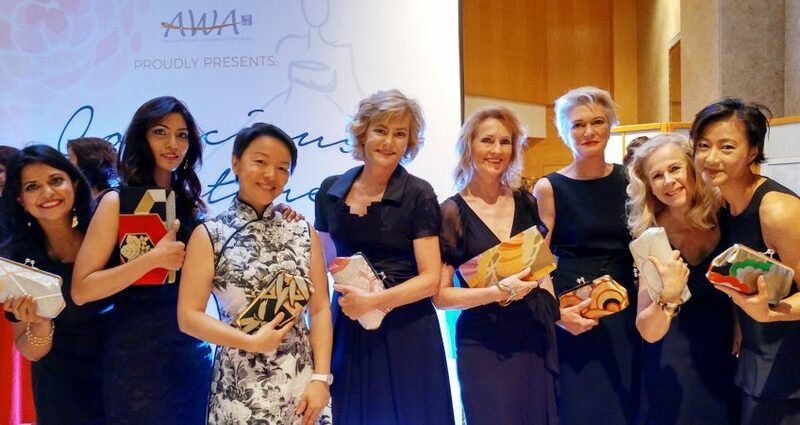 A huge thank you to The American Women’s Association of Hong Kong for the invitation to participate at this sell-out event supporting sustainable fashion. Part of the proceeds from sales at this event will go towards supporting the AWA on its philanthropic initiatives in Hong Kong and overseas.